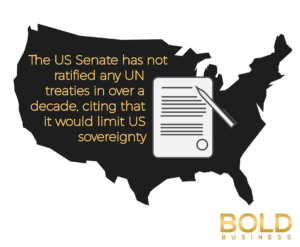 The United States of America has a bizarre and convoluted history when it comes to ratifying UN treaties. The Republican Party has firmly set the tone for how America responds, viewing them as an infringement to US sovereignty. According to the Economist, a long-standing fear about the UN among conservatives is that the social and economic rights established by their treaties could provoke lawsuits demanding the US government pays out. To address concerns, America generally does not ratifies UN treaties and human-rights pacts for fear they could overrule existing US laws. In an in-depth opinion piece for the Boston Globe, Jeffrey D. Sachs charts the practice right back to 1973, when the United States passed legislation to protect people with disabilities. This was followed by the Americans with Disabilities Act in 1990. This act inspired the member states of the United Nations to adopt the Convention on the Rights of Persons with Disabilities, which President Barack Obama signed in 2009. Despite signing the treaty, which sent out the message that America abides by its contents, by not ratifying it means it’s not legally binding. The United States joined the likes of North Korea, Libya, and Uzbekistan, as the only countries to have signed but not ratified the treaty, out of 160 nations worldwide. 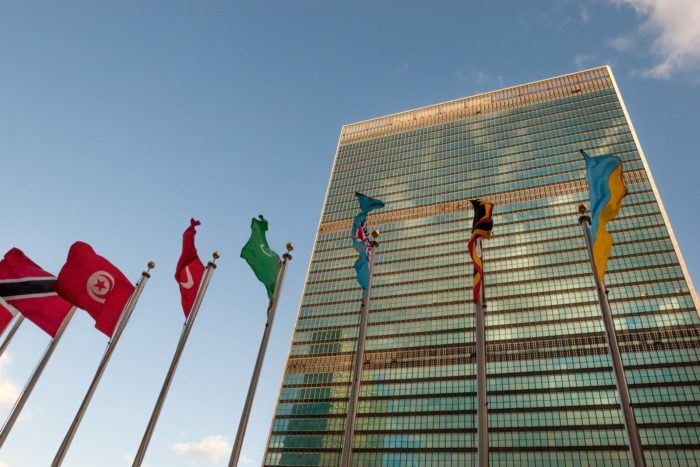 Advocates claim that this could lead to America being viewed as out of touch with the rest of the world, hamper its development and progress, and become a hindrance to the United Nations’ efforts of building a better global society. Another important milestone, the Convention on the Rights of the Child, was also thrown out by America, along with Somalia and South Sudan. The treaty was adopted by the UN General Assembly in 1989 and became one of the most widely adopted human-rights pacts globally. It set standards for healthcare, education, penal laws and social services, and gives children the right to have a say on what affects them. America signed it in 1995 but never ratified it. Most American laws are already consistent with UN treaties the US has signed, but not all. A notable exception is the American law which states that under-18s can be jailed for life without parole. The UN rights of the child treaty prohibits unfair, cruel and degrading punishment, so ratification might force changes to this law. Laws on corporal punishment would also have to change in some states. However, UN treaties can make a positive impact on America’s legal system. Participation in the UN treaty on child soldiers prompted America to abolish the deployment of under-18s in military operations. According to the Boston Globe, the list of global agreements in which the United States refuses to participate is long and growing. The United States has stayed out of the “UN Convention on the Law of the Sea (1991), the Convention on Biological Diversity (1992), the Comprehensive [Nuclear] Test Ban Treaty (1997), the Ottawa Land Mine Treaty (1997), and the International Criminal Court (1998), among many others”. In each case, the main argument is that treaty membership would limit US sovereignty. 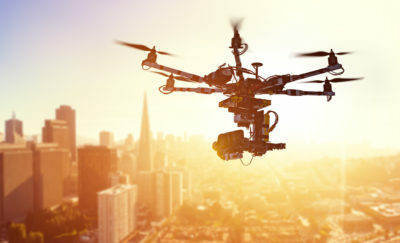 The Senate’s aversion to UN Treaties has become so intense that not one has been ratified in the past decade, and only one on cybercrime has been ratified in the past 15 years. Critics say there are no signs that the situation will improve, and reformists fear the Trump administration will increase its defense to global law, and will further shy away from the United Nations. Only time will tell if the trend will buck, but judging by President Trump’s ‘law and order’ rhetoric, and nationalization policy, it’s highly unlikely that the United States will abide by international laws, or give up its sovereignty to a global organization like the United Nations.